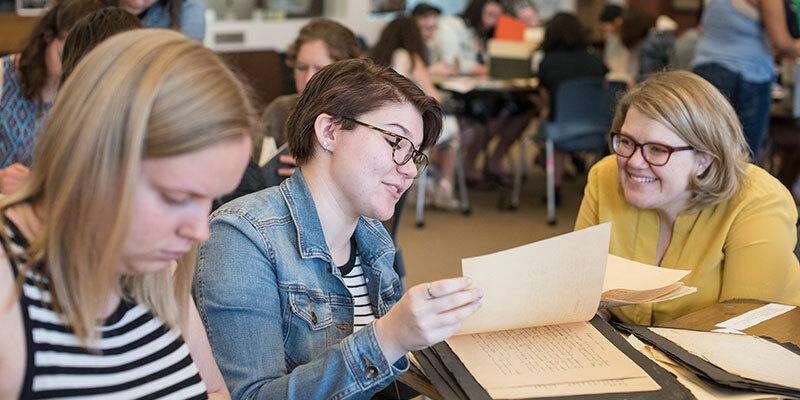 The Sophia Smith Collection at Smith College is an internationally recognized repository of manuscripts, archives, photographs, periodicals and other primary sources in women's history. It was founded in 1942 to be the library's distinctive contribution to the college's mission of educating women. Under the inspired leadership of its first director, Margaret Storrs Grierson, the Sophia Smith Collection evolved from a collection of works by women writers into a historical research collection of material documenting the lives and activities of women. In 1946, it was named in honor of the founder of Smith College, Sophia Smith. Today, the Collection consists of over 700 collections (over 10,700 linear feet) of material in manuscript, print, and audiovisual formats. The holdings document the historical experience of women in the United States and abroad from the colonial era to the present. Subject strengths include birth control and reproductive rights; women's rights; suffrage; the contemporary women's movement across race, class, and sexual orientation; U.S. women working abroad; the arts, especially theatre; the professions, especially journalism and social work; and middle-class family life in nineteenth- and twentieth-century New England. Many of these collections are rich sources of visual, as well as manuscript and printed material.